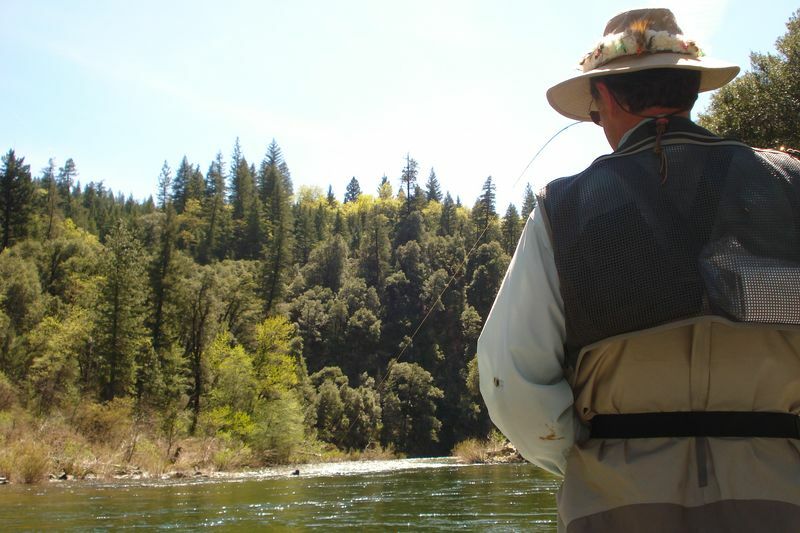 « Trout Dreams on the Upper Sacramento! 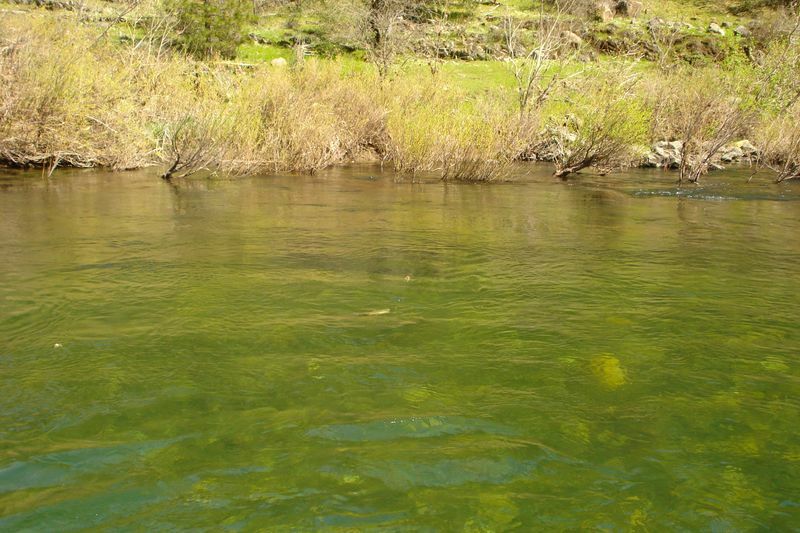 BACK HOME NOW ON THE UPPER SAC RAFTING & FLY FISHING AND THE FISH ARE ON THE SURFACE! 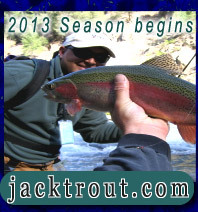 CHECK OUT SOME OUR GREAT FLY FISHING ADVENTURES FROM LAST SEASON! Another great season with my gal by my side! 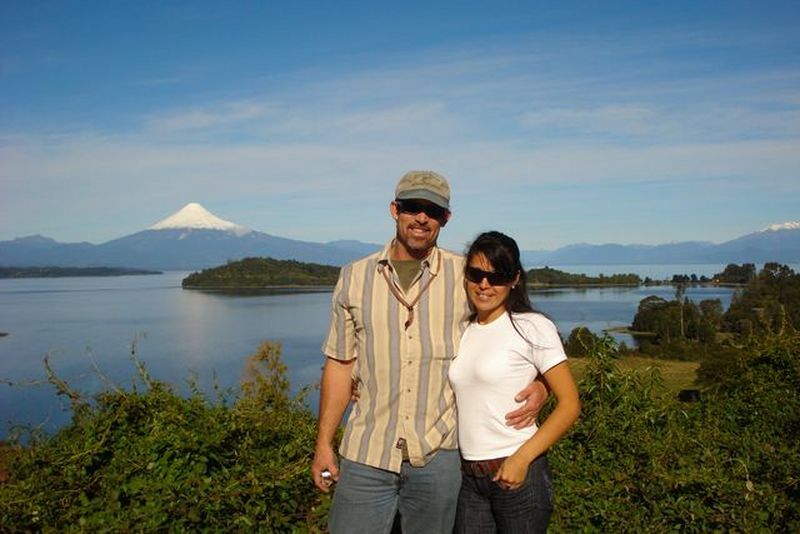 Carola and I would like to thank the folks who visited Chile, Belize and Argentina this past year and used our services to outfit their vacation travels. 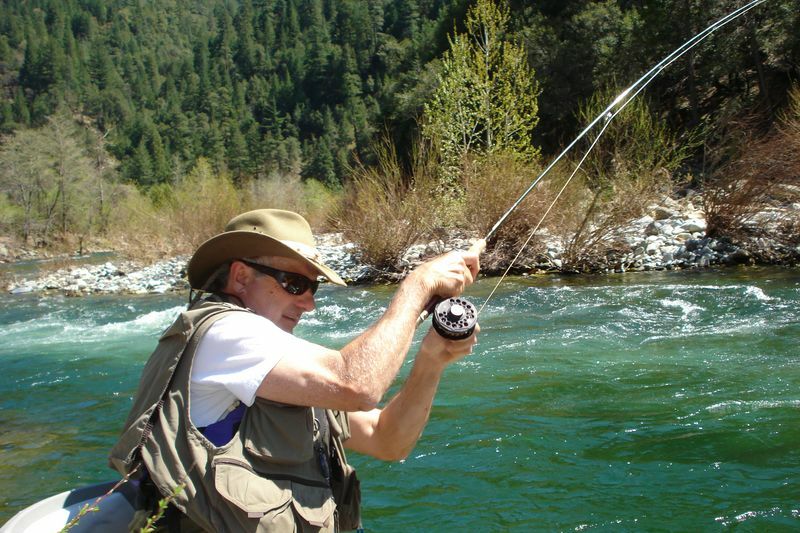 This is our 16th year of outfitting internationally and we are pleased by the numbers of you who contact us regularly for information on fly fishing, tours and lodging. 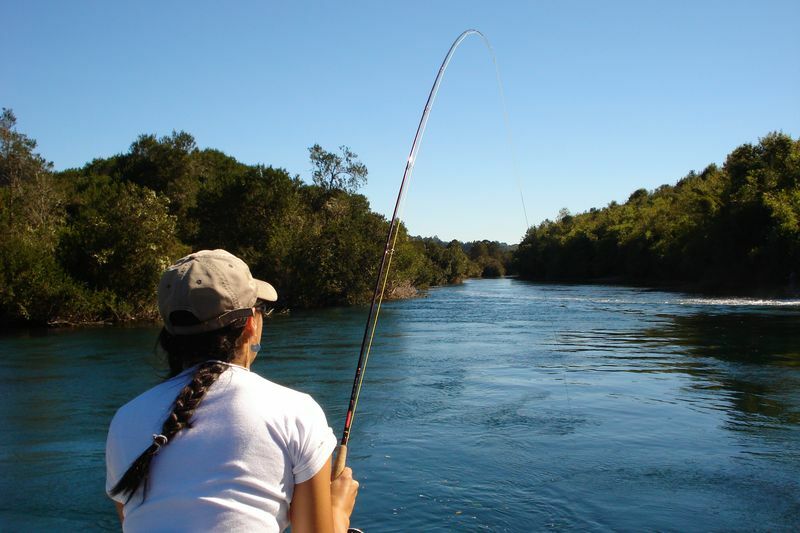 We would also like to share with you that we are committed to finding the best places for you to fly fish and vacation at affordable prices and of course always the best food. at a great price, one client at a time, we will continue to earn your trust. 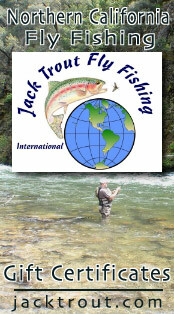 Thank you for considering Jack Trout International Fly Fishing & Tours. 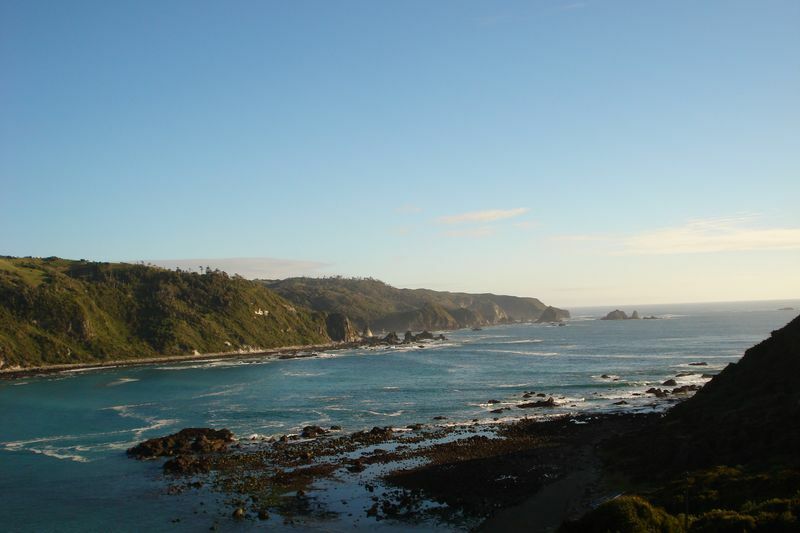 We hope to see you this year in Northern California or Northern Patagonia, in either direction, we’re here to serve your highest expectations. 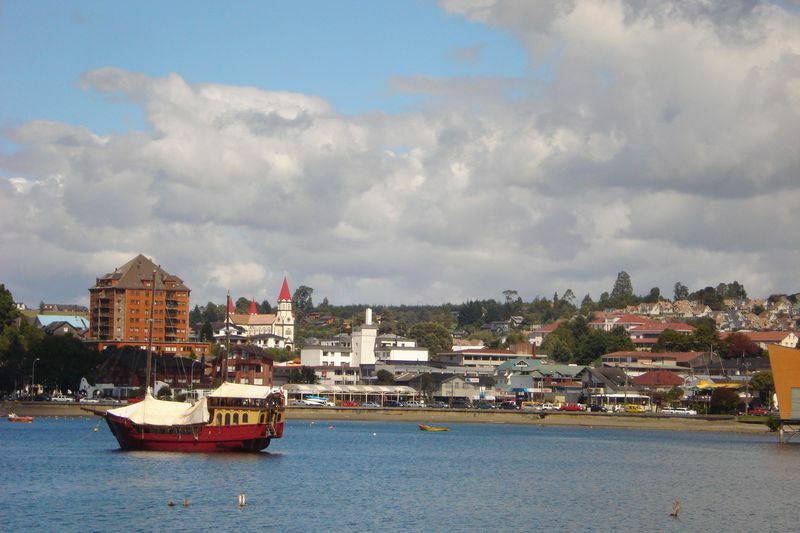 Puerto Varas, Chile our new second home! 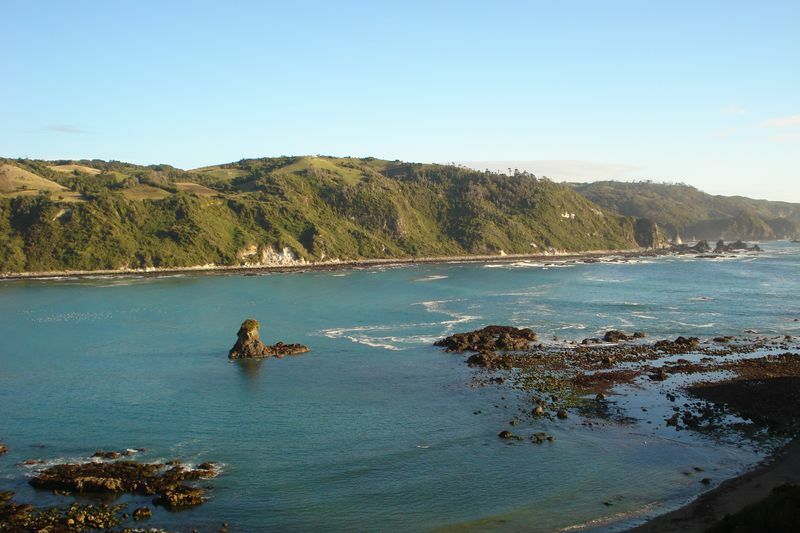 Thanks to Puerto Varas and all the hotels, shops and restaurants that refer clients our way! 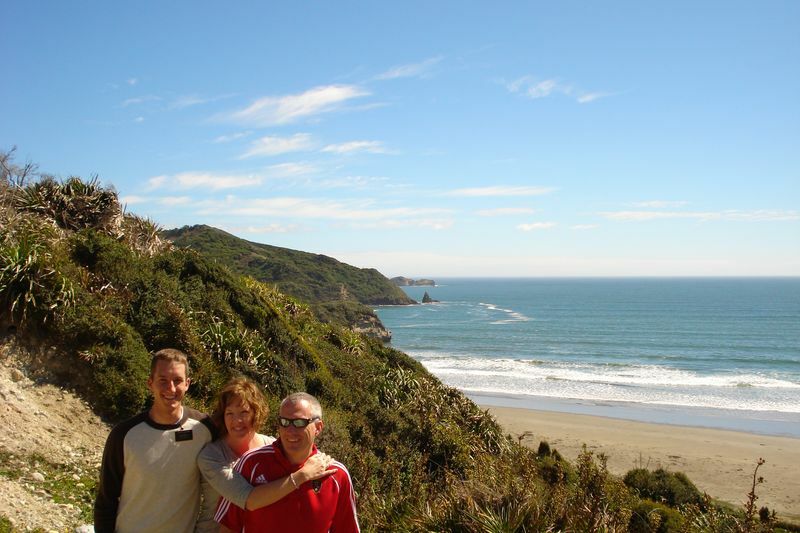 It’s a great town with a lot of glamour, beautiful views and a tourist flare. It was so fun guiding people as far away as, Iceland, Norway, Germany, Austria and Salt Lake City, Utah! We decided one Sunday to head out on the Rio Maullin and try our luck! 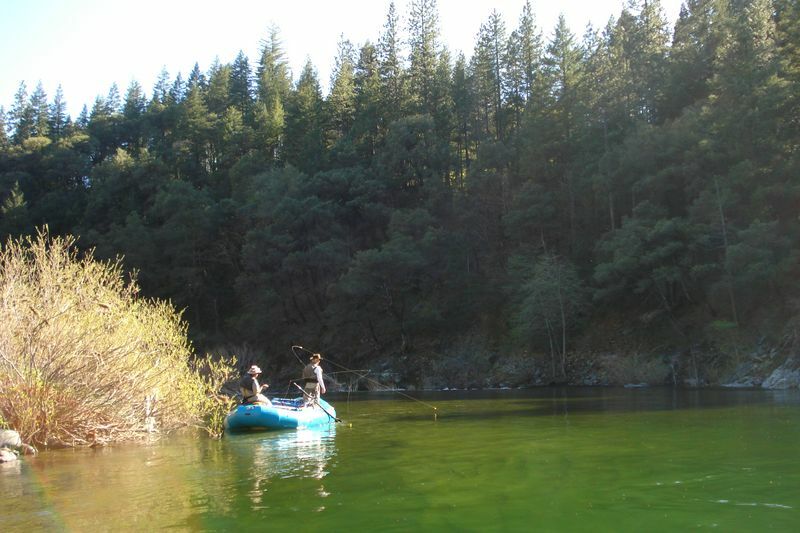 On our days off from guiding we love to head back out on the water and fish n float! 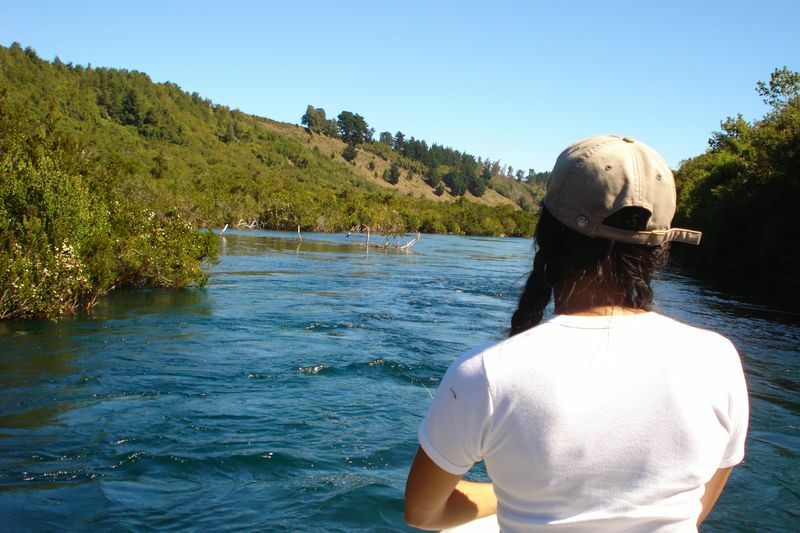 Right then a trout bites and Carola is off to the races!! 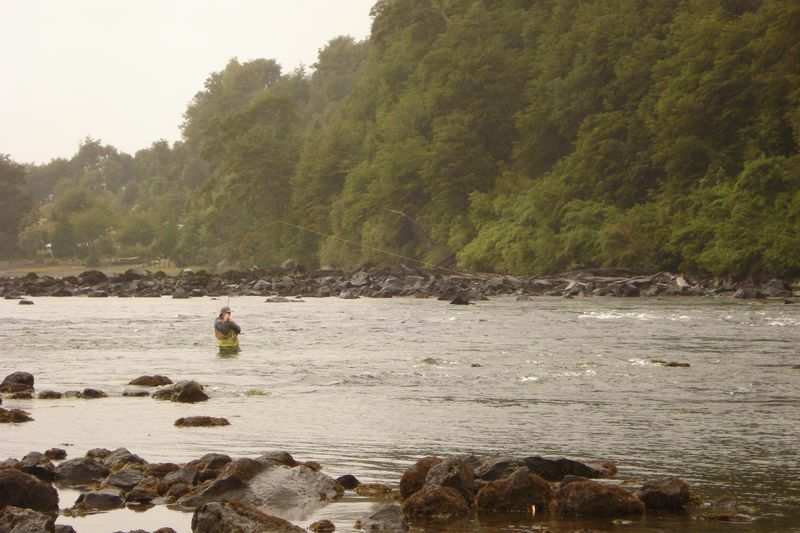 A great battle indeed, a nice medium sized Atlantic Salmon wild here in the crystal waters of the Rio Maullin. Brendan came and was on a mission that day to catch a few trout while dad tried his luck up stream. 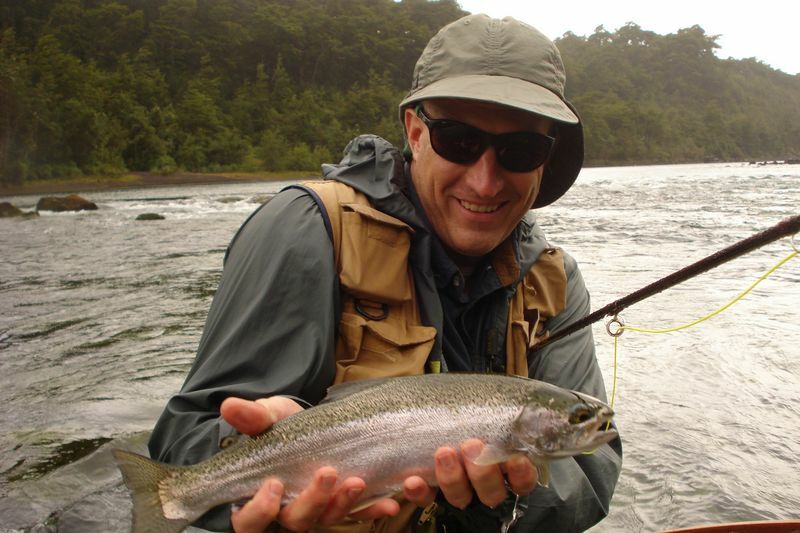 We waded the pocket water in one section and it wasn’t too long before a nice rainbow appeared engulfing Brendan’s fly and taking him on a long ride down river. A nice catch for a deserving North American guy! 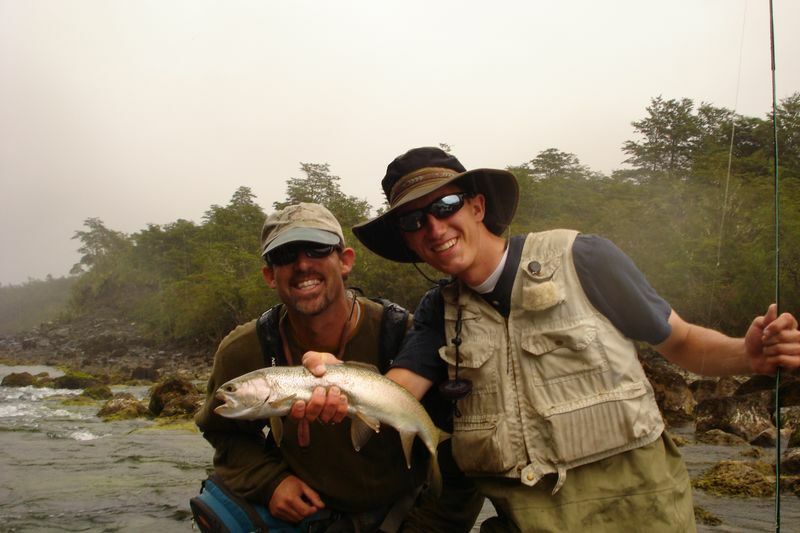 Your first trout caught in Chile fly fishing, tell me how does that feel?!?! BRENDAN ASHTON OF SALT LAKE CITY UTAH, YOU’RE MY SIZZLER OF THE WEEK AWARD WINNER!! Dad’s turn! 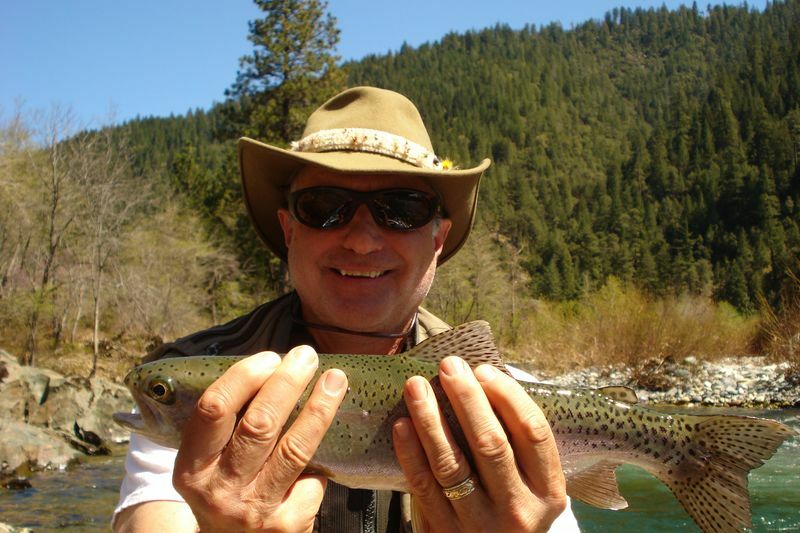 Dad’s name is Cort, what a great time Cort had fighting these hard fighting trout! Way to go, another trout on small flies. “What a fun river this is”, Cort said. 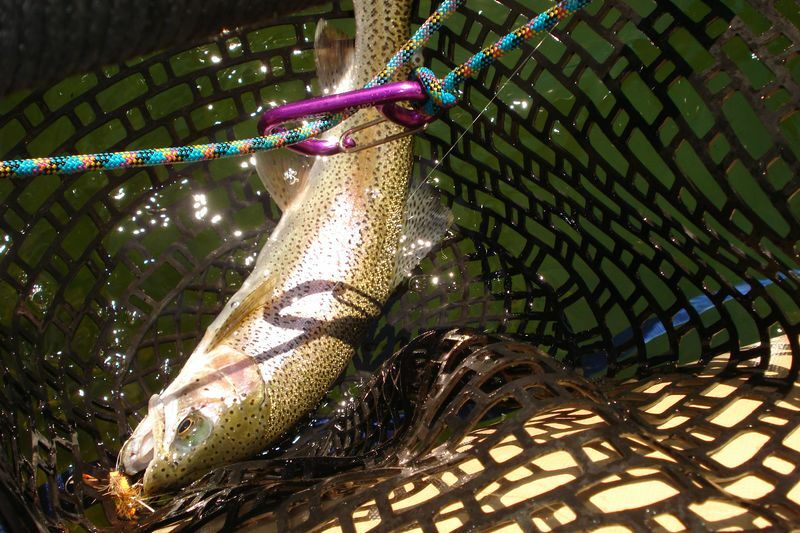 In another location more trout were caught, and Brendan seized the moment by landing almost all that were hooked. 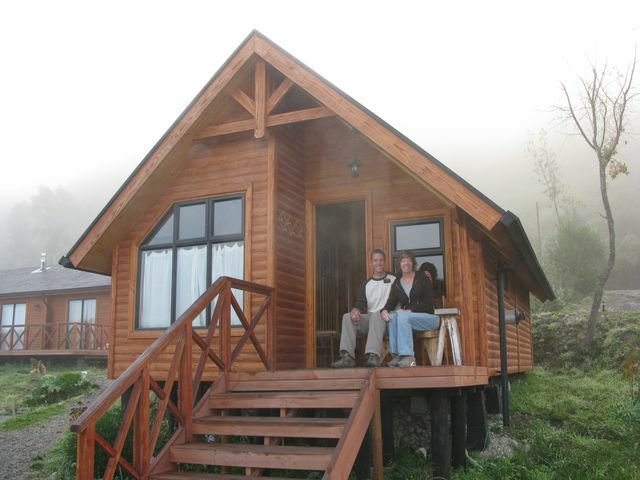 This is our cabin we offer on the banks of the Rio Maullin, every night trout rise like clock work right out in front. 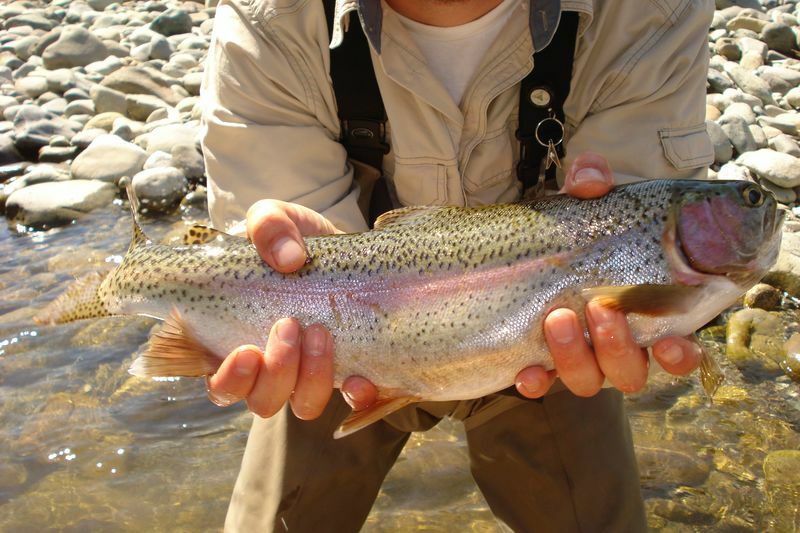 It’s a real charmer for those of you who like catching trout on dries and enjoy views that are nice on the eyes. 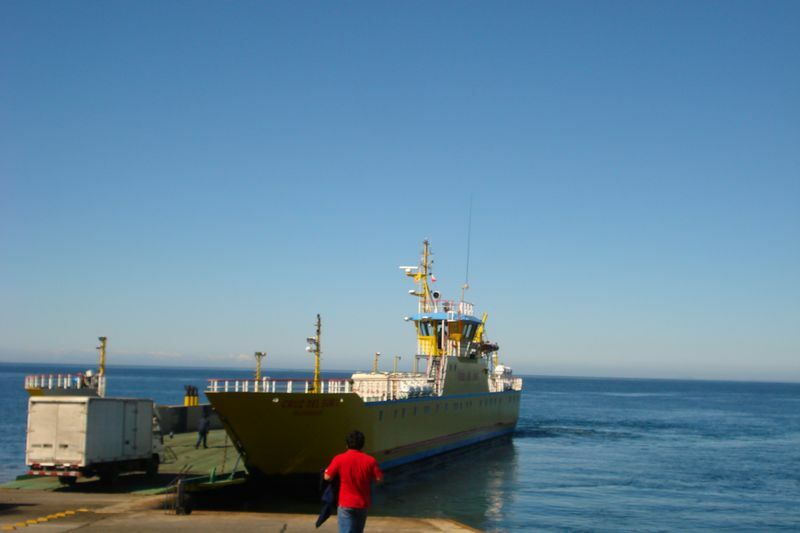 Lets catch the ferry barge across to the Isle de Chiloe! Is that Mr. Bo jangles I see…? 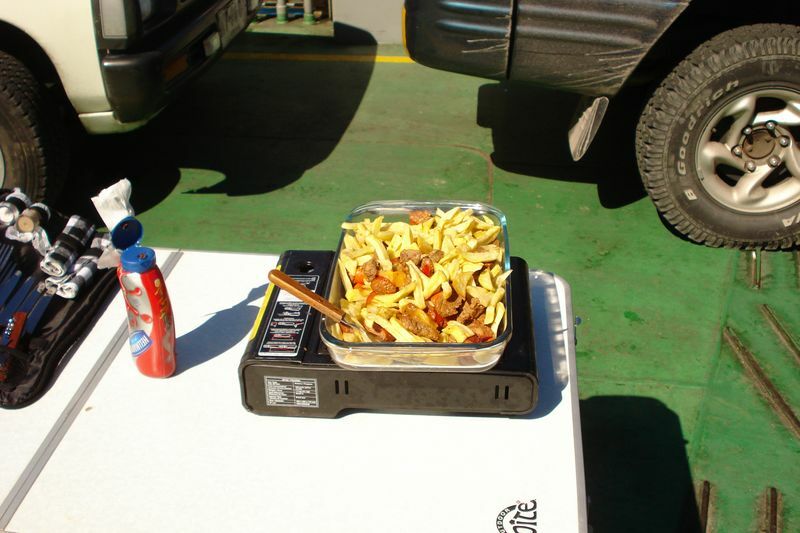 So we before-hand prepared this typical Chilean dish called Pichangas. It is made with french fries, 3 different types of sausages, and cheese. don’t necessarily want to fish every day. Yummy!! Don’t forget the ketchup man! 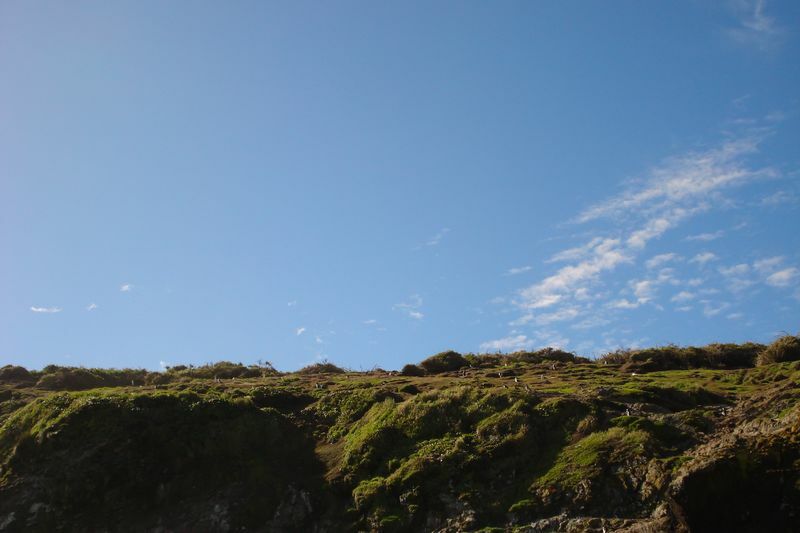 Once over on the Island, the trip becomes magical as the island is unique in so many ways and unbelievable scenic beauty is in every direction. 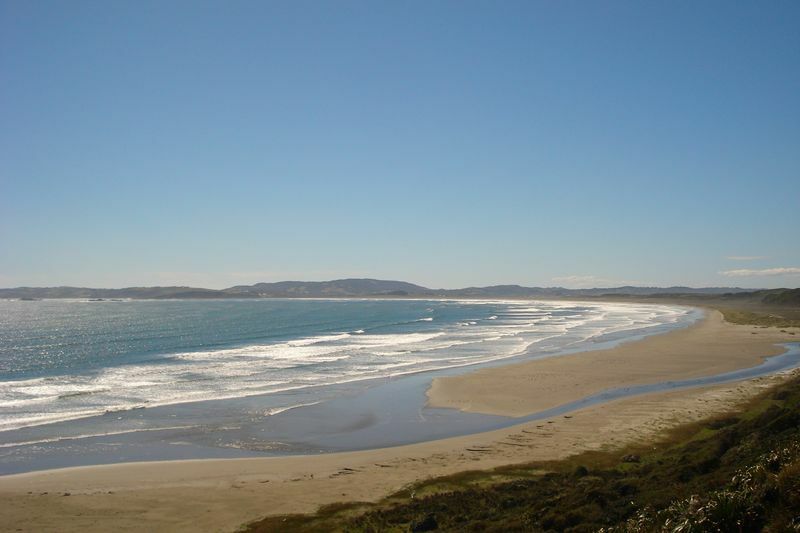 Yea you could say I would highly recommend visiting the Isle de Chiloe when coming to Southern Chile. 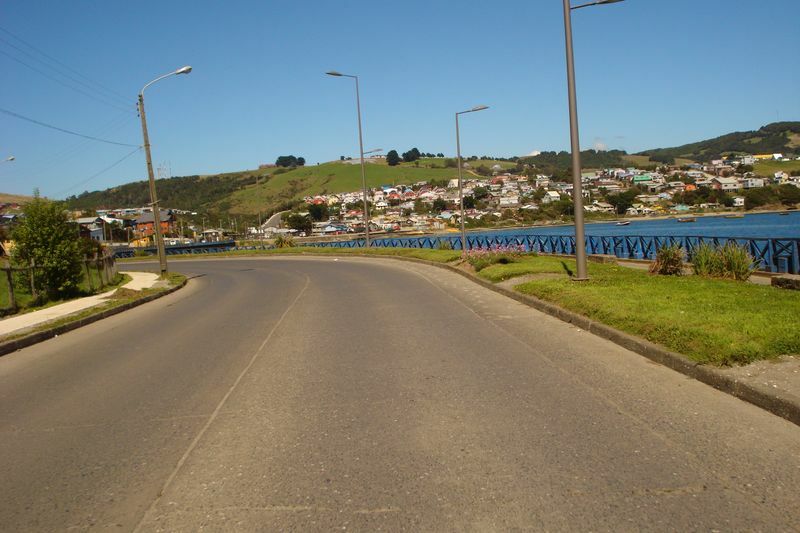 The towns are fantastic, everyone is really into painting their houses in wild colors as to stand out and be proud that one is from the Isle de Chiloe. Houses painted in purple with green trim, or bright pink and trimmed in blue. It’s a colorful place with a pride that extends back as far the 1500’s when the first Spanish Conquistadors landed here and were fought off with that same kind of pride found painted on the exteriors of these native style homes found dotting the coastline and rolling green hills throughout the island. Young hearts be free tonight! What a romantic place to be with a loved one! 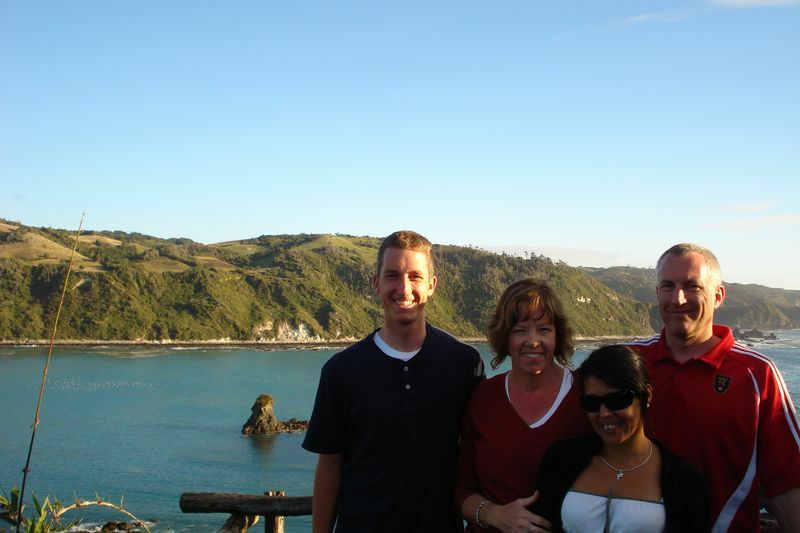 The Ashton’s loved it so much, they just kept commenting on what a wonderful day they were having! 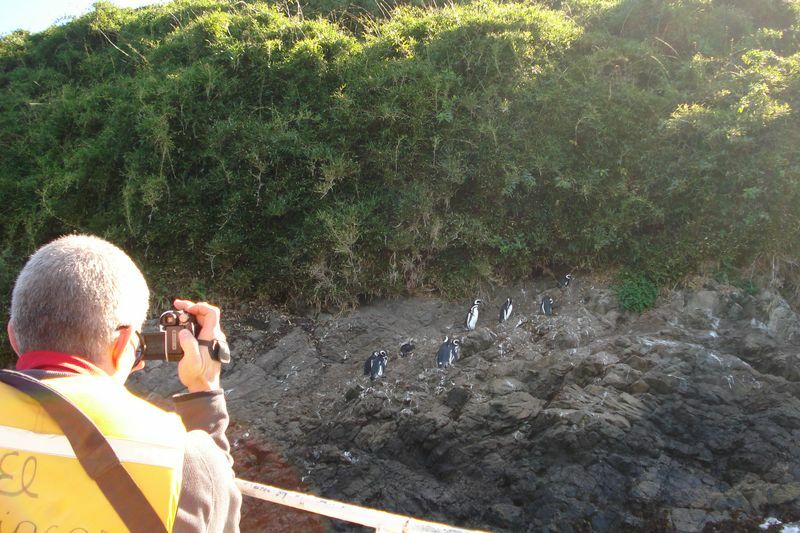 Then we made it to the penguin beach and got to kiss a penguin! 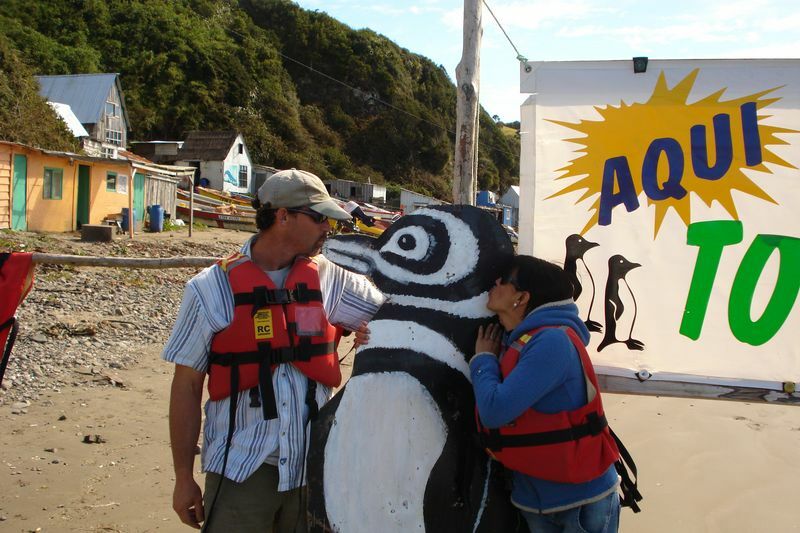 Before long we were off on a small boat that would take us out to where the little penguin guys laid out and drank A&W Root beer by the gallons! That’s why they walk around like they do and have a full belly, all full of A&W Root beer…. There they were, some of the penguins from Antarctica and others were from Peru, up and down the southern coastline for their root beer floats. 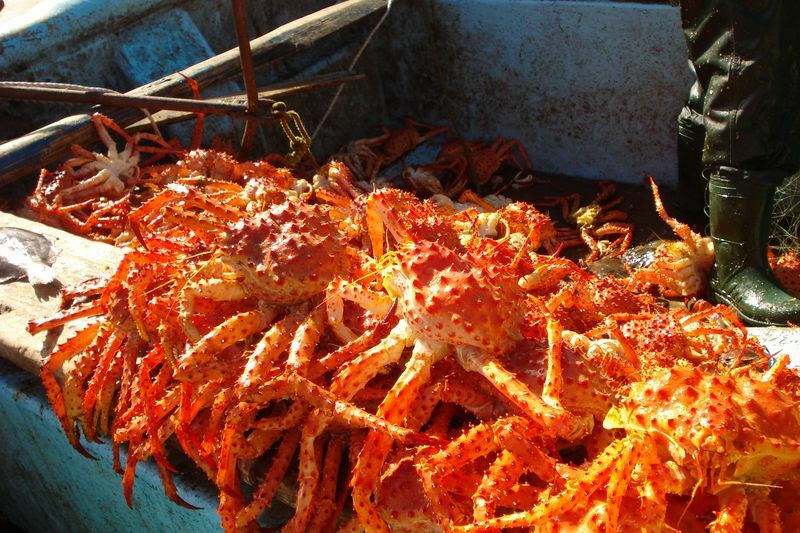 Then when we got back a small boat of fishermen had caught all these king crabs and were selling them on the beach! 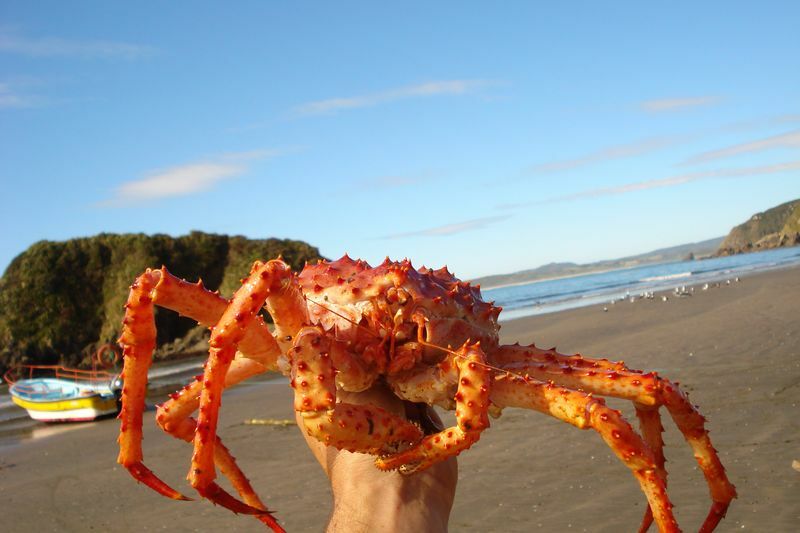 I bought a cooler full of king crab for around $15 USD, enough to eat king crab every night for 3 nights straight. It was a so delicious and rich!! I think I could eat king crab almost any night of my life and boy were they so good. All we did is just boil them, they had a natural butter flavor and a lot of meat in each leg. 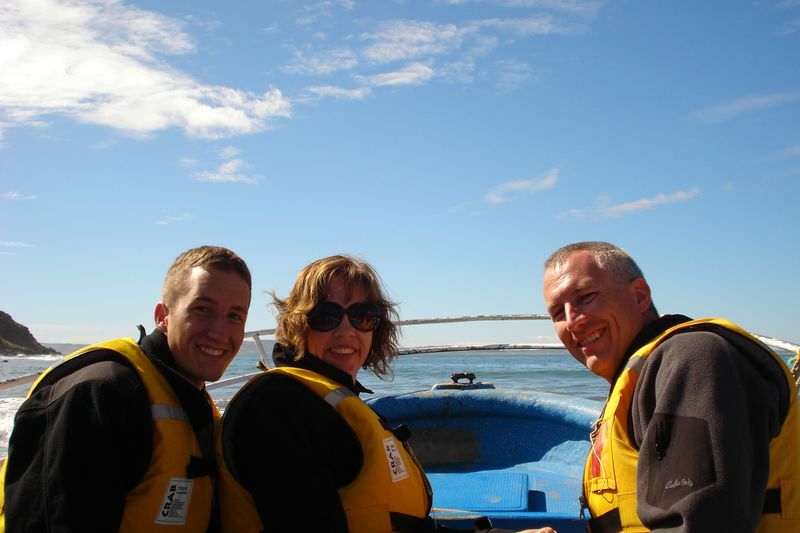 Thank you so much for the excellent trip we had in the South of Chile. It was apparent from the first phone call that we were in good hands. 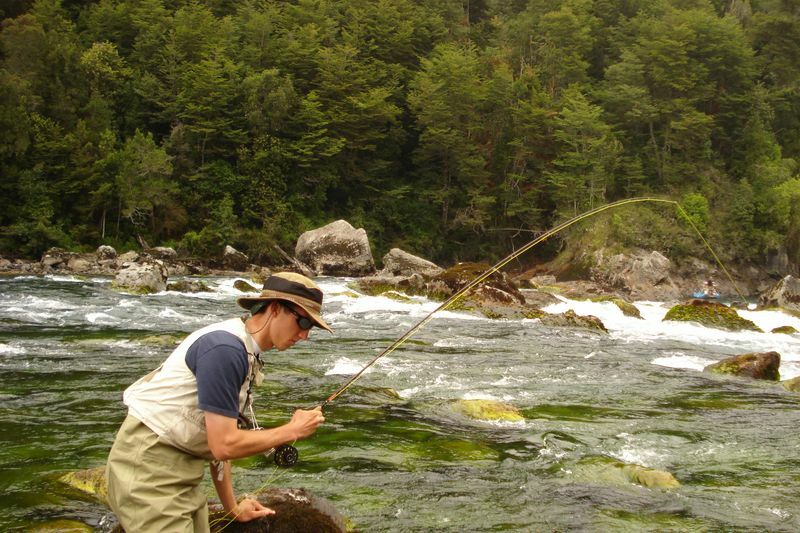 Your subsequent emails and phone calls helped removed some of the mystery regarding fly fishing in Chile. 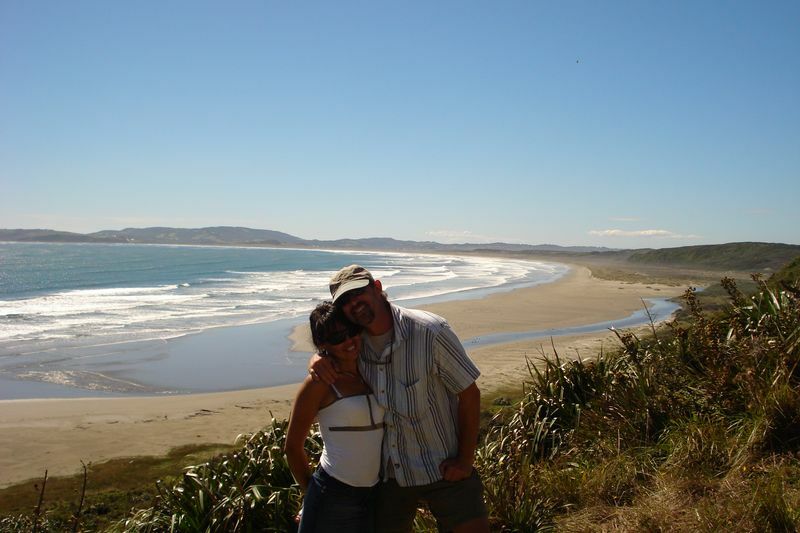 “non-fishing” spouse, and arranging for Carola to help her with a shopping day in Puerto Montt. 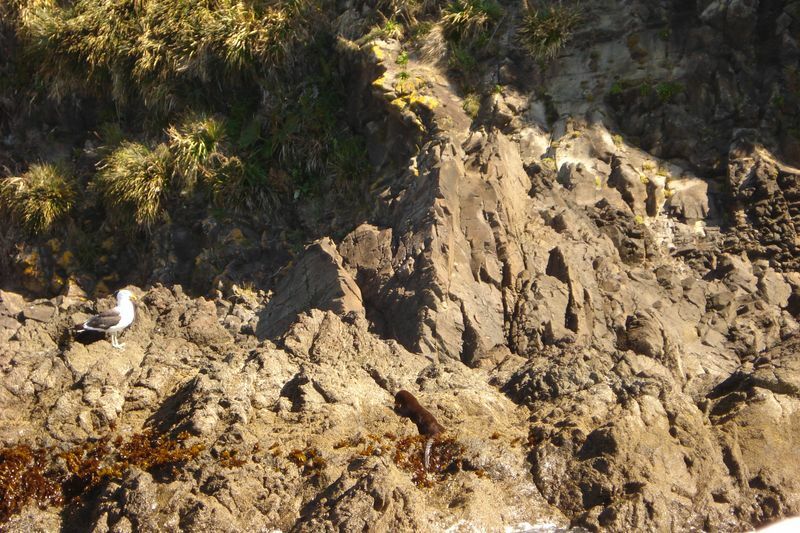 Our guided adventure into the island of Chiloe was amazing. I only wished we had more time to continue to explore that beautiful place you are fortunate to call your part time home. If you have some pics of our time you could forward, that would be great. 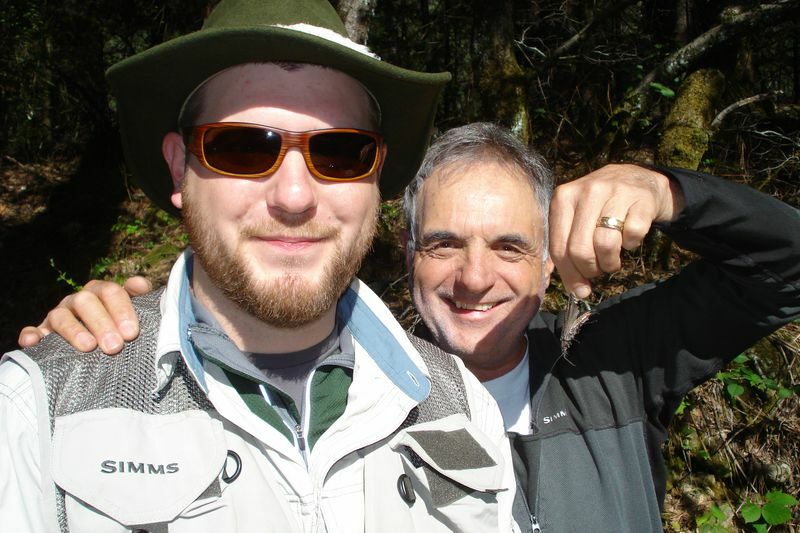 (I need proof of the steelhead for my jealous fishing buddies). 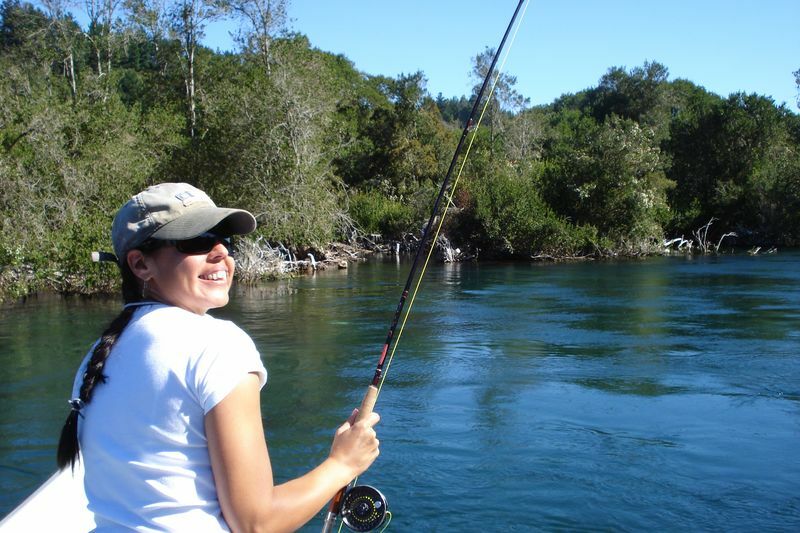 Cottonwood Title Insurance Agency, Inc.
2009 PRIVATE UPPER SACRAMENTO FLY FISHING – RAFTING TRIP!! 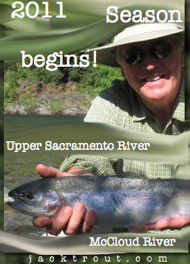 Well we’re back in Mt Shasta now and running the Upper Sac Fly Fishing – Raft Trip!! 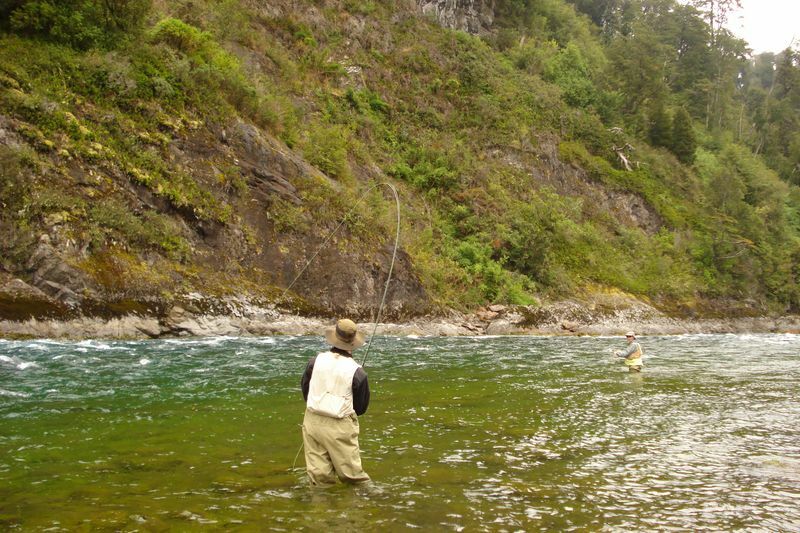 Hope to see you out here in the fly fishing water crafts. Right off the bat we saw huge Stone Flies! Jerry and Kevin Moison were ready for a great day.It’s always great when a father and son can get out and share a day to remember together. 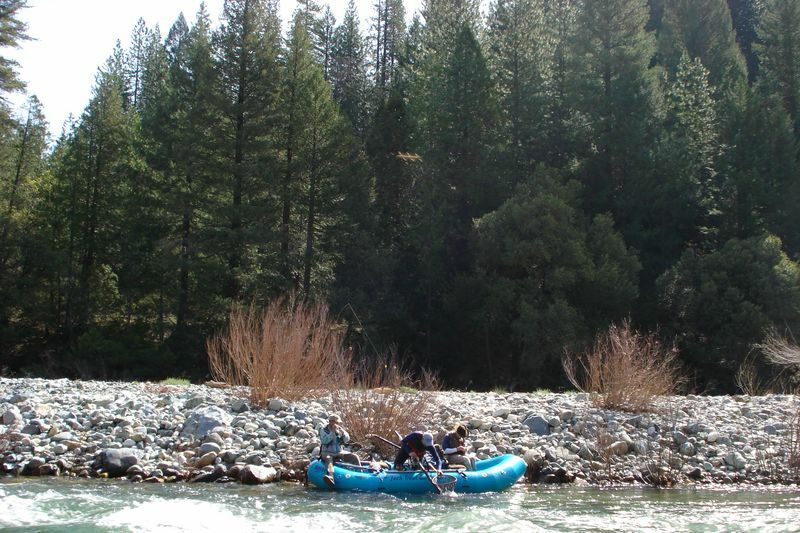 We had two rafts that day and we headed down the Upper Sac whose waters flowed perfect that day. The other boat hooked and landed a trout and all were happy. Jerry got out and waded a little on this nice edge. 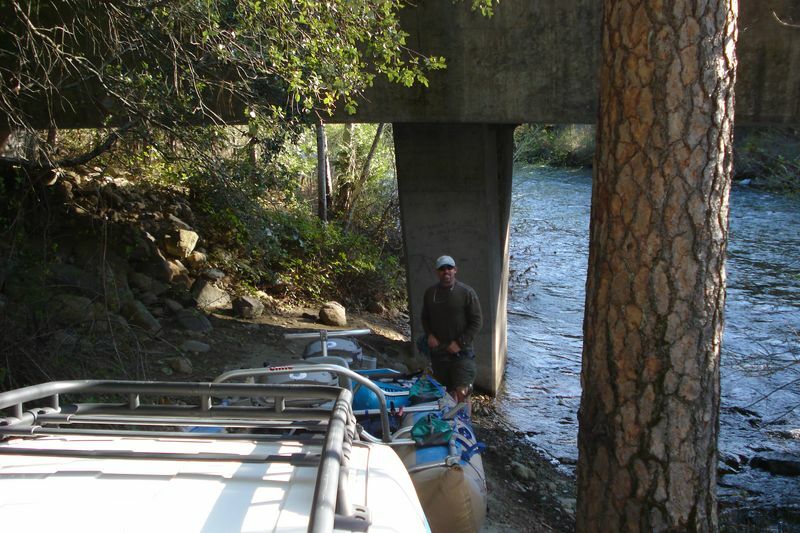 We stopped down a little further down and waded some more but the fishing in the morning was kind of slow. Maybe because it was the first day of warm weather in a long time, the fish were waiting for the mid day sun and hatches to appear. Sure enough as it warmed up the hatches appeared and the fish were more active. Jerry Moison with his first Upper Sac hook-up of the season. 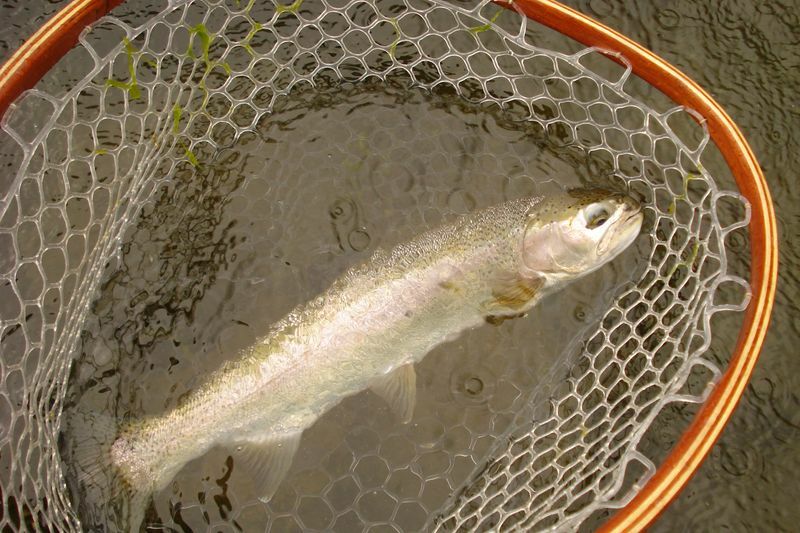 Stanley hook a trout using a huge salmon fly on the surface and managed to land this fine trout! Nice indeedy! 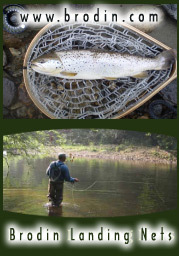 The big dry fly right in the yapper.. Lunch was served! A wonderful meal if I don’t say so myself. 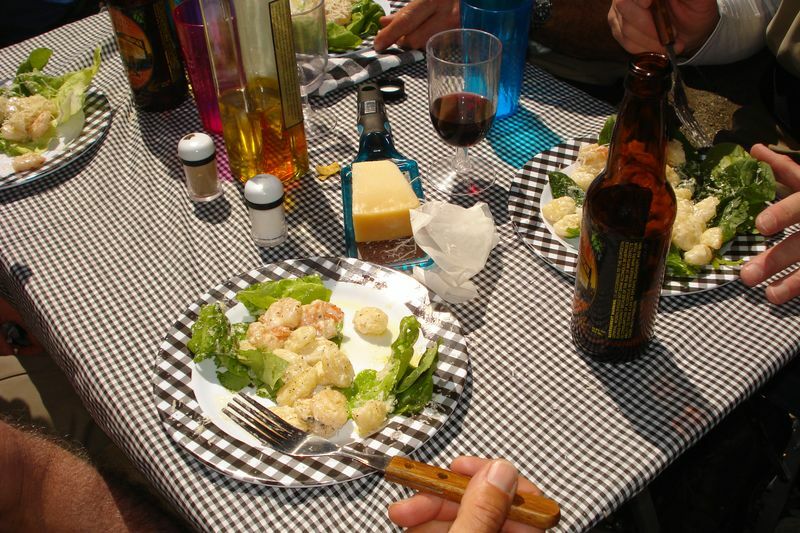 Gnocchi served with shrimp in a pesto – alfredo sauce on top of butter lettuce and fresh parmesan cheese. Clients thought it was awesome. After that it was Kevin’s turn to hook a beauty! 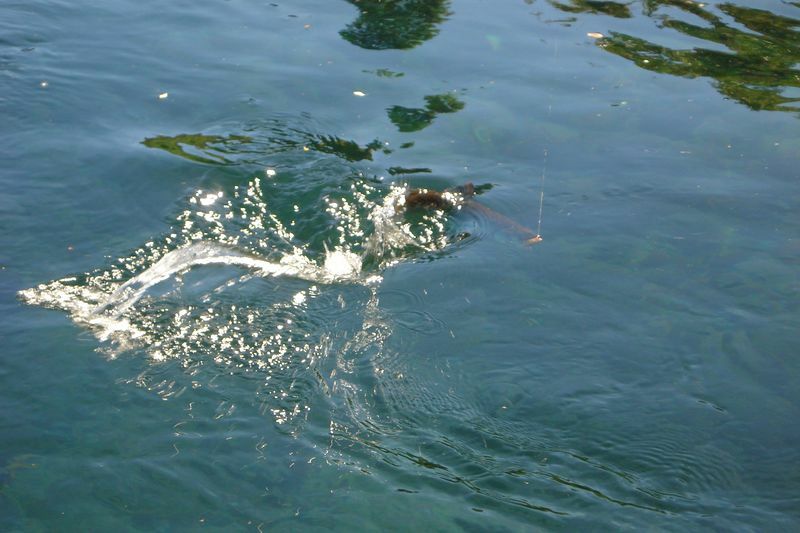 There it was, out floating on near the surface as Kevin made a reel turn, it ran again!! 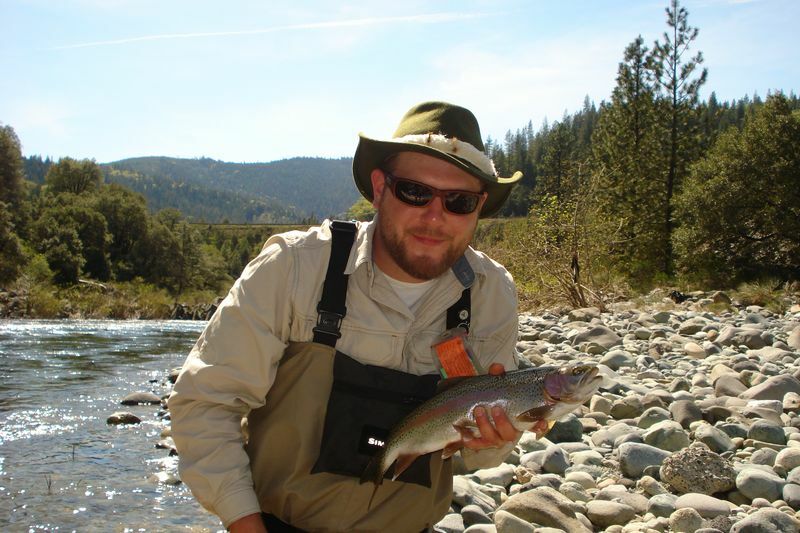 A nice Upper Sacramento River Trout, guided by Jack Trout Guide Service. Maybe we can find one of these for you! Now that’s what I’m talking about! 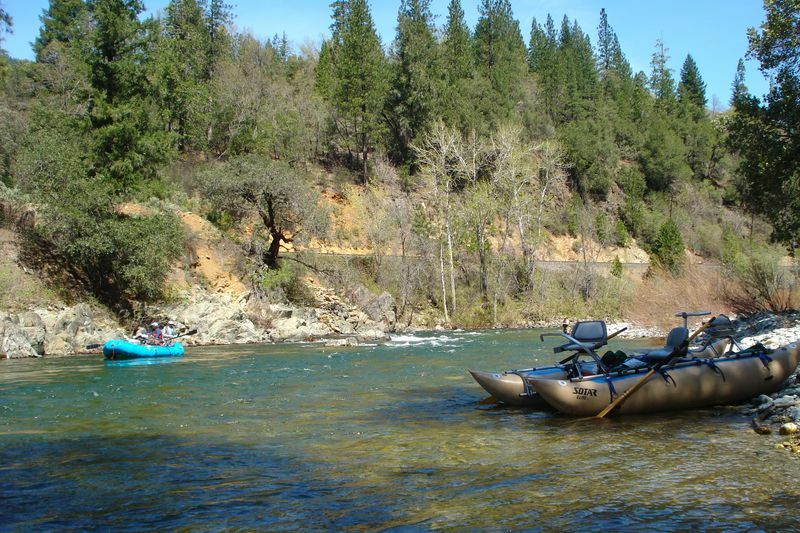 Another great season on the Upper Sac out in my rafts, maybe it’s you my friend… I hope to see you out here! 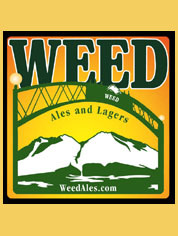 Thanks for your phone message we just got back to Lake Almanor. Madeleine and I would like to fish with you in May. 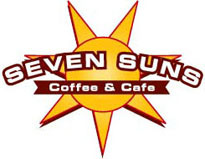 We are looking at May 6th 7th. or May 13th. 14 th. or a combination of those dates. Maybe two days in a row if u can put up with us? Please advise what works for you best. Jack there is 2 of us on the 23rd and 3 on the 24th, if i wanted to do 4 on fri id there another boat available? Dave Fuette and I would like to do a one-day float with you on Saturday, June 6th. Please confirm and I will send a deposit. What is the amount? Thanks. Looking forward to it! Hi Jack. Got your phone message also. 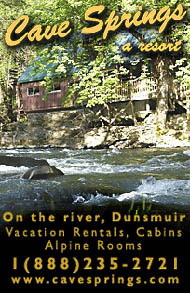 Would like to book Tue, May 19, one day, one raft, for my wife and myself. We both have all the gear we need. Looking forward to it. Can i just go to San Martin de los Andes? This sounds like what im looking for. Just talked to someone and they said its better fishing in that area of Argentina. Do flights go there? not sure as to what our itineraries are but was wondering on hooking up for a cheap trip. I,m seeing a warmer window of 70+ April 21, 22. I’ll watch for a couple of days. Hope you two have a pleasant Easter. 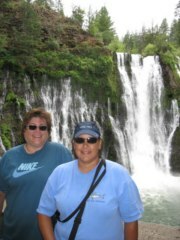 My wife and I are celebrating our 30th wedding anniversary and arriving in Belize 3/26 on Carnival Legend …………….. Belize time 6am to 3pm and would like to know if it is available and what the cost would be for the two of us to take a 1/2 day fishing trip with you for Tarpon. We will for sure book two boats, arriving on Friday the 17th around dinner time, fish Saturday and Sunday, let me know what you need from me and consider it a done deal. Dancers in native dress filed into a small amphitheater and circled a ceremonial fire, shells and beads jingling out a gentle rhythm as they walked. The Sunday evening ceremonies at Sacramento’s Camp Pollock near the American River opened what the Redding-based Winnemem Wintu Indians billed as a H’up Chonas, or war dance. But spiritual leader Caleen Sisk-Franco said the intent was to enlist the Creator’s help before petitioning the federal government for redress of grievances dating from 1941 congressional action authorizing the acquisition of tribal lands for the construction of Shasta Dam. Members of the tribe and their supporters will walk from Old Sacramento to the state Capitol at 10 a.m. today to formally announce the filing of a lawsuit in federal court. Mark Franco, Sisk-Franco’s husband and the tribe’s head man, said the suit calls on the federal government to fulfill its obligation to replace tribal lands flooded when the dam was built and to provide funds to rebuild the infrastructure. “There just comes a time when you can’t lose any more of your things,” he said. When legislation for Shasta Dam was approved by Congress, it contained a promise to acquire property for the Winnemem to replace the 4,480 acres of tribal and allotment lands that would be flooded. That promise has not been kept, Mark Franco said, and the government continues to appropriate areas that the tribe considers sacred. The tribe’s permit to gather wood from a manzanita grove for ceremonial fires has been rescinded and the grove turned into a campground, he said. In addition, he said, the Bureau of Land Management has refused to allow continued use of a tribal cemetery. “So when we bury someone, we are in danger of being arrested,” Franco said. The lawsuit names several federal agencies, including the Department of the Interior, Department of Agriculture, Bureau of Reclamation, Bureau of Indian Affairs, Bureau of Land Management and the U.S. Forest Service. About 70 members of the tribe and their supporters participated in Sunday’s ceremony. Wounded Knee De Ocampo of Vallejo said he came to support the Winnemem in their bid to protect sacred sites, adding that tribes statewide continue to suffer desecration of their lands at the hands of developers and bureaucrats. He also backs the tribe’s efforts to block plans to raise Shasta Dam, which he said would endanger salmon fisheries. 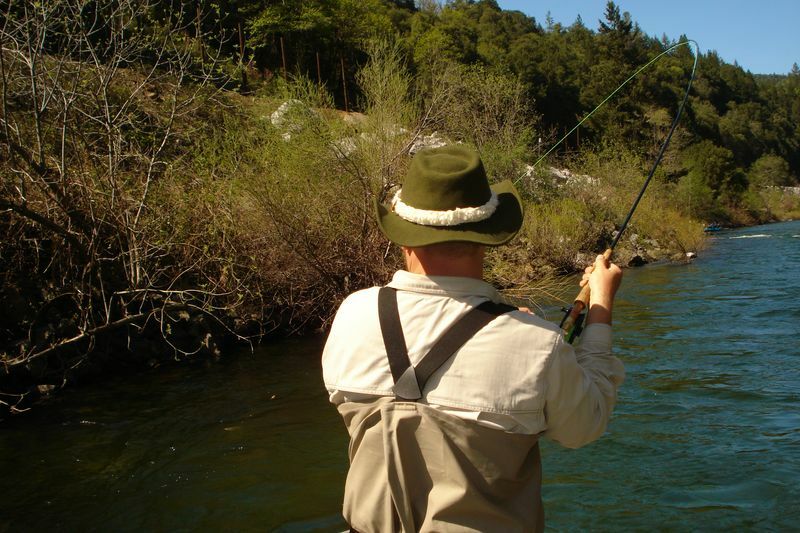 In 2005, the Winnemem Wintu tribe joined environmental groups in a lawsuit alleging that plans to change the operation of California reservoirs could harm Delta fish and migrating salmon. 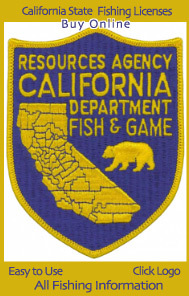 In April 2008, Judge Oliver Wanger of Fresno found that the U.S. Bureau of Reclamation and National Marine Fisheries Service had ignored their own evidence that fish would be harmed as they looked to increase water exports from the Sacramento-San Joaquin Delta. Wanger ruled that the agencies violated the Endangered Species Act in approving rules to guide these new operations, called a biological opinion. The judge ordered the opinion rewritten. Barry Nelson, senior policy analyst with the Natural Resources Defense Council, which partnered with the tribe in the 2005 lawsuit, said the revised opinion is to be released in a couple of months. Nelson said he gained considerable respect for the Winnemem through the earlier legal actions and was on hand Sunday to support them in their latest quest. Hi Jack, I’ll say welcome home and hope you made it back to Mt. 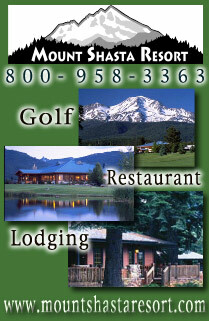 Shasta safe and healthy. Todd and I are looking forward to hitting the water with you next weekend. Looks like the weather is not going to be the best, but that’s what rain gear is for. Where do we meet and what time? What flies should I be tying? See you Saturday. Keep your tip up. Jack, here are some photos we took, let me know if you get then, there are eight. Yes you are right about Robbie, what a delightful kid! We absolutely loved Hopkins, Belize except for the infiltration from the corporate south. 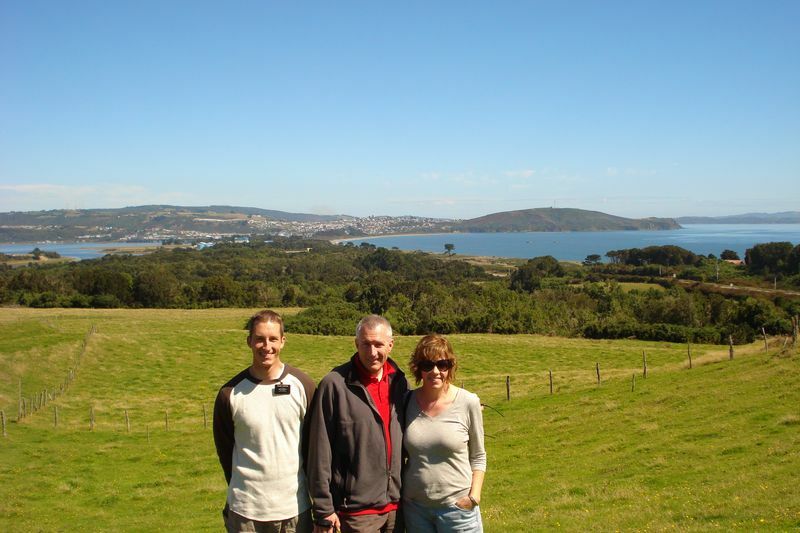 I hope all the new fancy developments doesn’t change the great local color, what nice people! I loved the way Lloyd docked the boat, just stand clear. It was an exciting trip out to Glovers, the big waves breaking over the bow, nobody had a dry spot on them, and Lloyd standing up hanging on to the motor throttle, Classic! It was a two hour trip, glad the motor was faithful! Saw flying fish and Dolphins, Eagle Rays and all the exotic fish. I would have liked to have gotten in a bit more fishing in but it was the overall experience that counted. 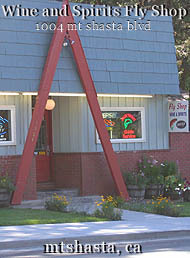 Have you ever ate at the place across from Lloyds and got entertained by Rosie, what a hoot and great food. 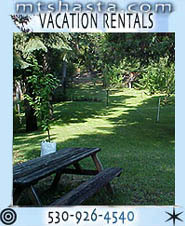 I am looking to book a trip the weekend of May 23-24 or May 30-31.
it is best we keep silent. to make the mountains blue. that burns & purifies for good or ill.
that swells the fruit & wombs our birth. that is our home & place. it is best we keep silence. 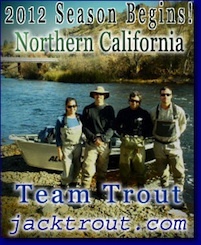 Jack √ I love checking out your latest adventures and pictures! Makes me jealous and anxious too. Cant wait for my next trip. Thanks again for the fun time I had √ cant believe its been almost 2 years now! Gotta get back up there with Jim. Hopefully see you soon! let me know when you have grants pics. 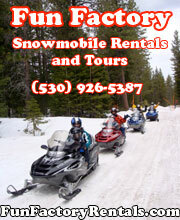 we plan to be at shasta the 3rd and 4th week of july. 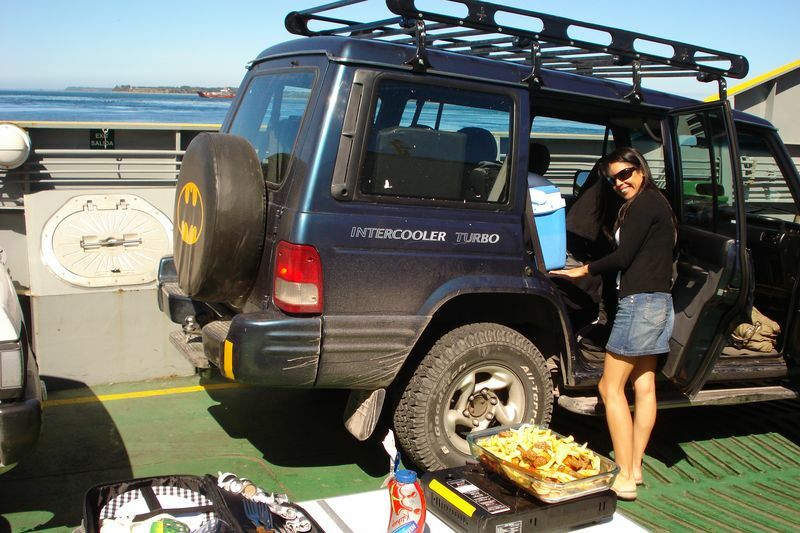 We were fishing for two day, we cough many fish and We spent a great time here! He has the pictures os then he will send. Actually the weather is terrible, we going to get some snow tonight. Did you make the wire for the rest? I need to book something ! Call me. Welcome back, your bride is beautiful. We are coming up to Mt. 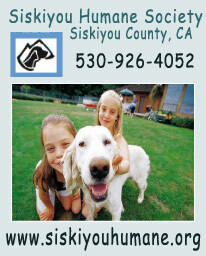 Shasta the week of July 19th and would like your services one of those days. 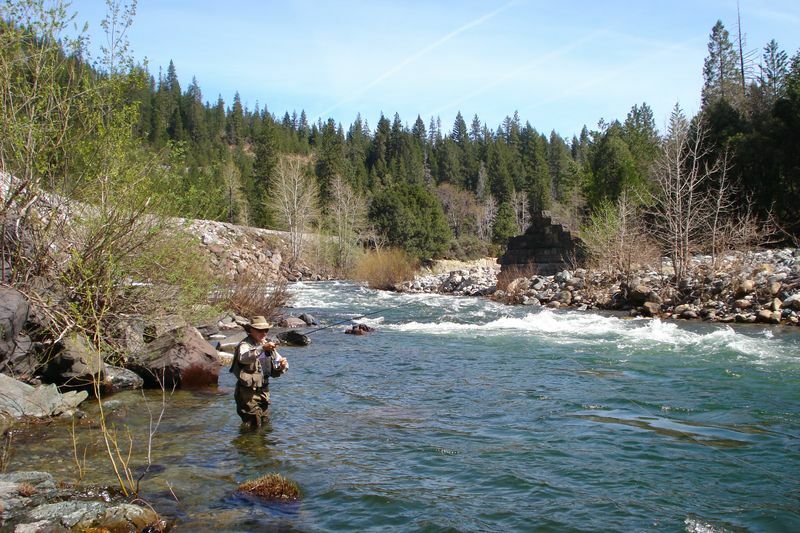 But this year we do not want to spend most of our time with you on the road to the Klamath and then catch one fish as we did last year.